Through Shadowpaw Press, I’ve released a new, revised edition of Spirit Singer, my young adult fantasy, first published in 2002, that won multiple awards: a Saskatchewan Book Award (the Regina Book Award for best book by a Regina author), an EPPIE Award for best electronically published young adult novel, and a Dream Realm Award (young adult category) for best electronically published science fiction, fantasy, or horror. The original version from Awe-Struck Ebooks. 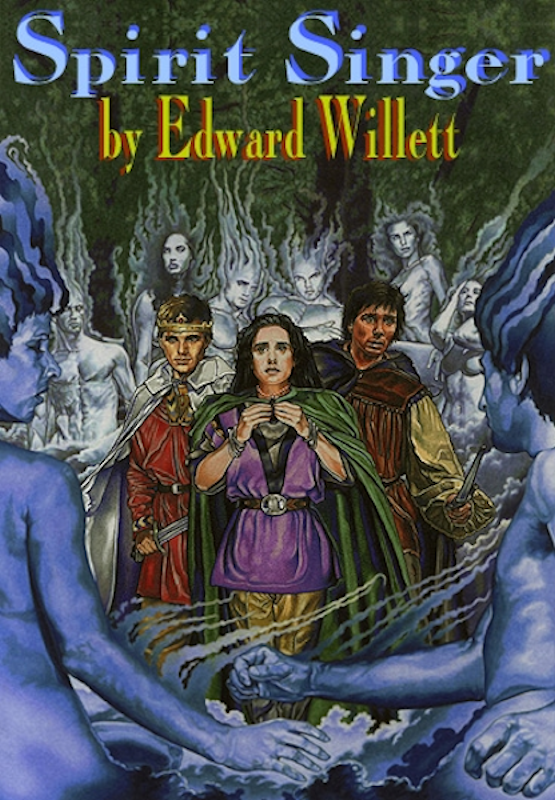 The second edition from Tyche Books. 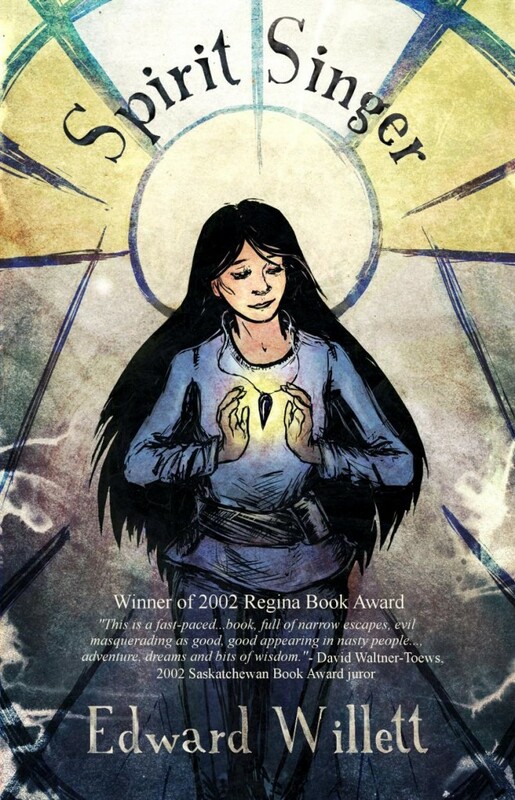 Spirit Singer was first published in 2002 by Awe-Struck E-Books, and brought out in a print edition by their offshoot, Earthling Press. In 2013, a new edition, published by Tyche Books, was released. I regained the rights to the book last year and decided to make it the third title released by Shadowpaw Press, in the hope that a new generation of readers will find and enjoy it. I also took the opportunity to make some minor revisions, cleaning up the writing with the benefit of another twenty years’ of experience since it was first drafted. The result is a book I’m proud to re-release into the wild. 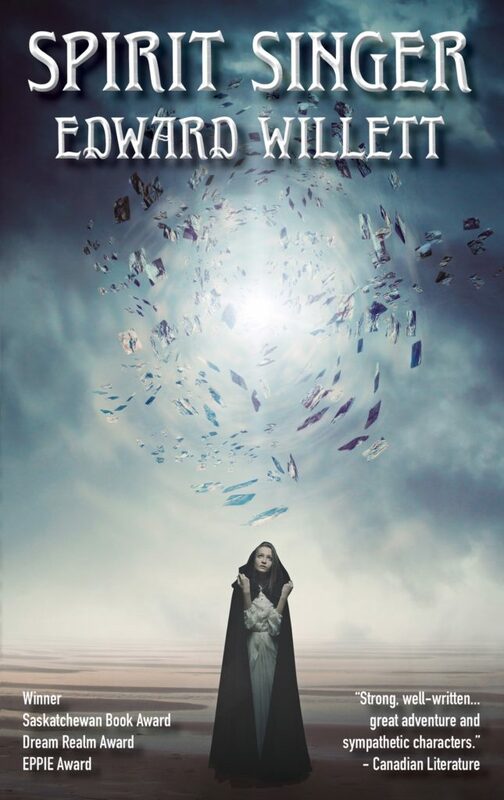 Spirit Singer is available in in all ebook formats now, either directly from Shadowpaw Press or your favorite online retailer, and the new 244-page paperback edition will be available April 30, again through all online bookstores or through your own local bookstore–or direct from Shadowpaw Press. While she is still an apprentice. her grandfather and tutor is slain by a mysterious creature in the Between World, an evil Beast blocking access to the Upper World’s Gate. Without a Spirit Singer, her village cannot survive, so Amarynth embarks on a hazardous quest to find out what the Beast is, how it can be defeated, and how she can become a full-fledged Spirit Singer – a quest that takes her not only from her tiny seacoast home to the city of Havenheart and the haunted mountains of the south, but across the even more rugged terrain of her own soul. Buy a copy for yourself or get one for a young person in your life!